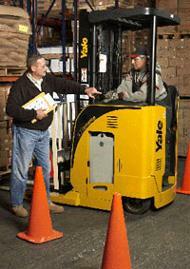 Forklift Training in New Brunswick (Tips for Employer & Individual) - Be Certified Today! The cost of inefficiency of forklift operator can be defrayed by giving them the quality forklift training. This is very true! A trained operator is better at his job can reduce worker accidents, property damages and equipment maintenance cost. In New Brunswick, an individual need not to have a driver’s license when operating lift truck, however, you must complete the full components of a course in order to become fully certified. This applies whether you are a full or part time operator, seasonal or regular worker. If you have any issue about how to obtain your training, in this guide, we will try to assist you. We will be covering important topics that could help to take the training, pass the test, and get certified. The first element of the training is the classroom lecture or formal education. At this stage, all trainees attend a class specific to the course. Class size is usually limited to a number of trainees in order to ensure quality of training. This also ensures that each student receives adequate attention to learn the topics. A written test is a tool to measure the effectiveness of delivery of the course. This also guarantees that each student has received sufficient knowledge. This is also makes trainees understand the present standards. The passing rate of the test varies from company to company or school to school. Practice training is the most vital element. The trainer will spend time and effort on this to test the students. The students must demonstrate the skills driving the specific truck they intended to operate on. They need to physically apply what they’ve learned during the classroom session. The supervisor will oversee their performance, rate them accordingly, and make necessary rating. With experience driver, this assessment is just a piece of cake but for new and beginner, it could be nerve wracking. Evaluation is the last part. The trainer will perform evaluation in accordance to the standard laid off. The assessment of written test and hands-on practice are the components the trainer will based on before he can issue a satisfactory grading. The price of the course will vary. Many new drivers believe that schools teach the same thing. I can agree on that. And the common mistake they commit is to ask for the cost rather than the scope and coverage of the course. I cannot blame those operators, because I was once like them. I strongly suggest when searching for a school to enroll, inquire about the scope, fullness and trainer experience. You can also look at the school’s track record. According to the new CSA standard, license has a validity of three years and evaluation must be conducted every 1 and 1/2 years after the previous training. The evaluation should be performed by a competent administrator. Unlike in the United States, Canada has different scenario. 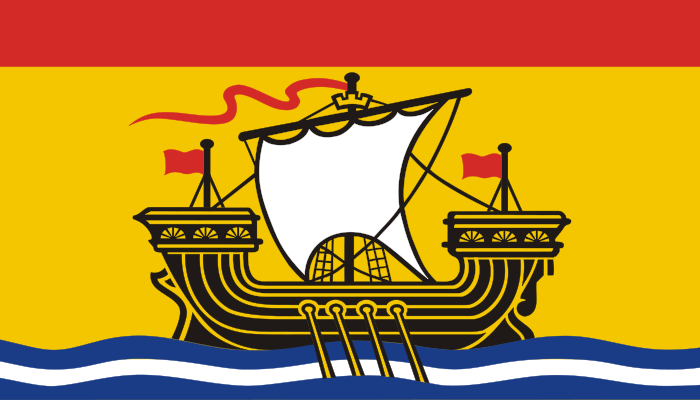 A forklift operator who took a certification, let’s say in New Brunswick, he cannot use that in other province. Likewise, a forklift ticket issued by a certain company is only valid for that particular company only. However, he can present that ticket to other prospective employer, if operator wants to switch job. This ticket is strong evidence that you had a position relevant to the position you are applying for. Accident is the primary concern of employers. This is the cause fatal injuries and damage to properties. There are many things employers can do to encourage workers to perform at optimum level of safety. Here are of the advices to help employers to instill safety and health for their workers. Regular Education – Accidents happened because of poor performance of the operators at the job. They are lacking safety knowledge and work proficiency. Employers must take time to train operators at regular basis to mitigate accident occurrence. An employer can hire an outside consultant to supply the course on site. This is the most effective mean of training deliver, because the consultant can edit the course to cater for the workplace condition, workers performance, and equipments in use. Placement of Safety Program - If you are one of the companies that do not prioritize safety, then this is the time you must act. Placement of safety protocols in workplace can boost confidence of operators. Though, it may require additional cost and manpower, the benefits weighs more than money and cost. Having a safety program that meets or exceeds the government standard is the key to successful business operation. Record Keeping – Inspectors can visit the company at any time. Employer can be surprised when they visit at your doorstep. They check a lot things, to see if it is in compliance with their standard. Having a safety training record can lessen the chance of getting citation or violation. Employing an internal trainer – It is much more economical to hire an internal trainer who is assigned for the provision of education for workers in the warehouse. This is most applicable when the employer has large fleet of workers operating at full swing. It is more costly to hire a consultant from outside source. Accident Report and Monitoring – the best way to prevent accidents from happening again is to look at the records of accidents took place in the past. Trace those that frequently happened, ask the trainer to make a training course specific to that specific issue. Take time to produce a quality training for self and workers. The advantages of having training surpass many benefits. It does make things better and clearer. It will pave the way for better opportunity now and in the future.